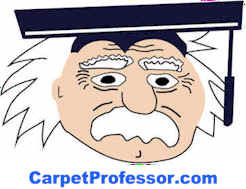 Welcome to My Free Carpet Information Website! I've retired from the carpet business after 30-years and I don't sell or install carpet anymore. I know the Carpet business inside and out and that's why I'm able to help you buy new carpet wisely! Let me bring you up to speed. Start by reading my some of my free articles listed below. How to Buy Carpet and Avoid Scams! Should I buy Carpet from Lowe's or Home Depot?